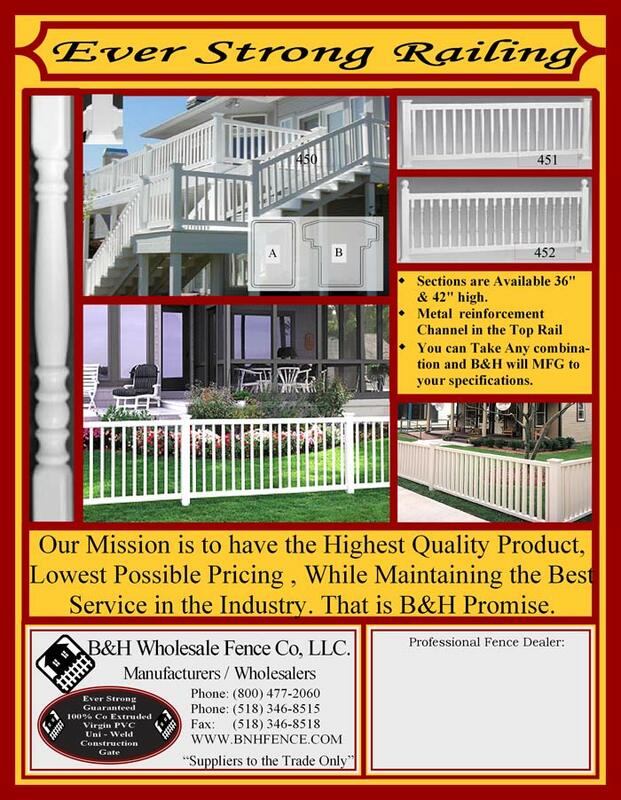 B&H Wholesale Fence offers a full line of vinyl porch and deck railings with standard heights of 36" and 42". Custom sizes available. Our mission is to have the highest quality products at the lowest possible price.